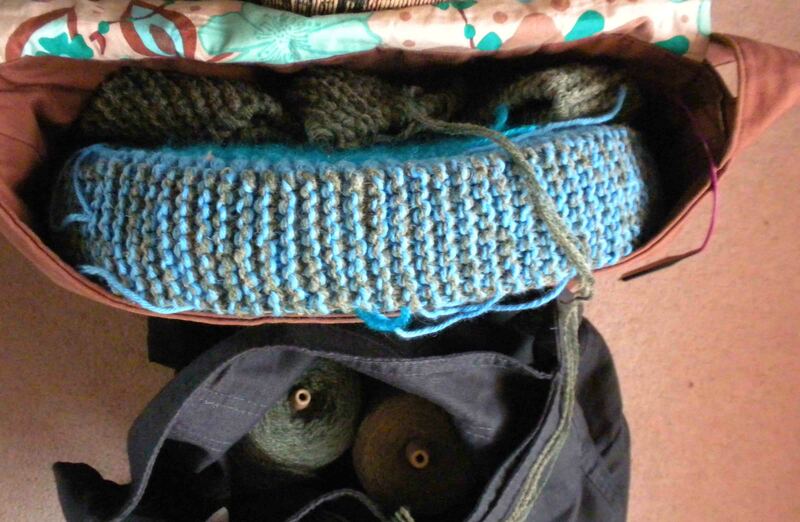 One of the many wonderful things about knitting is how portable it is! You can do it in the car (not while driving, I hope), in a plane, on a train, in a boat, near a moat, at the bank, while talking to Frank – well, you get the picture. But, let’s face it, some projects are more portable than others. 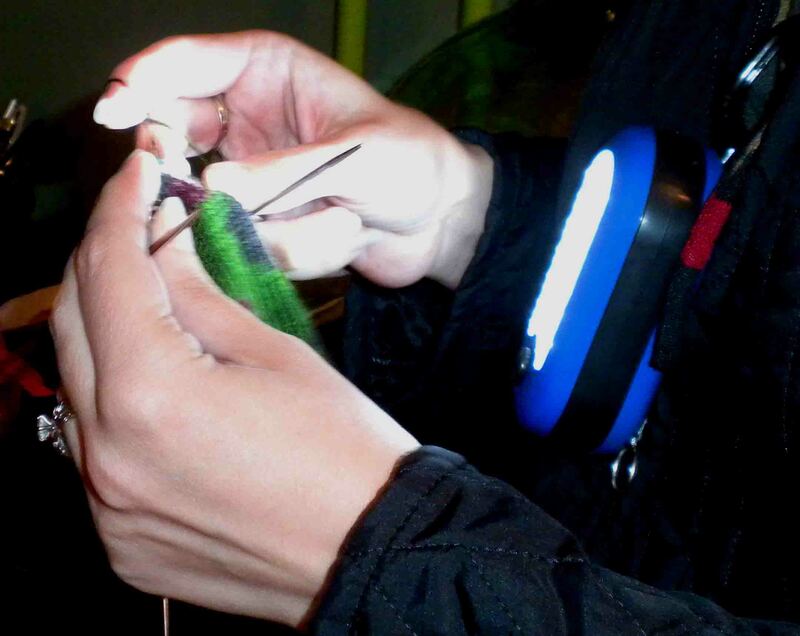 For successful nighttime knitting try a knitting headlight! I wanted plain knitting; I am not a morning person and can’t handle complex knitting before sunrise. 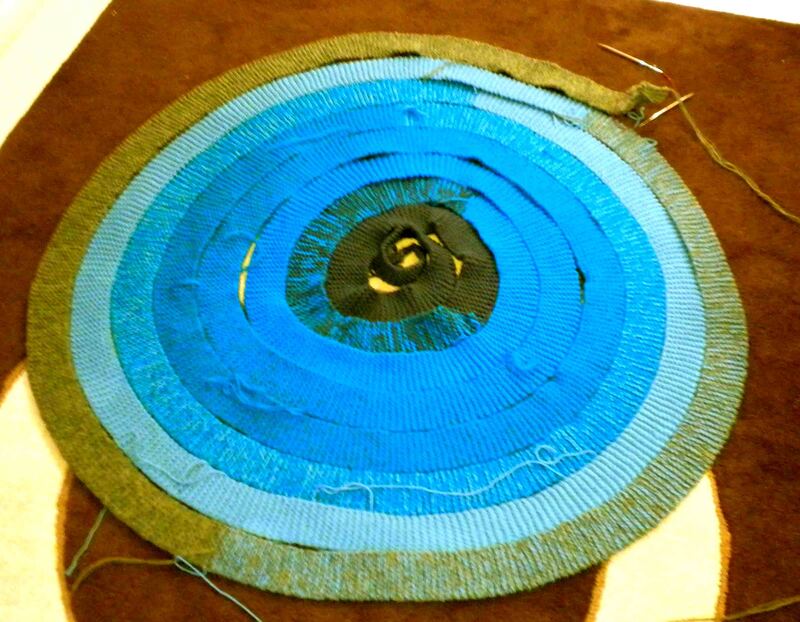 So, I decided to bring my spiralling circle of knitting goodness, otherwise known as my future rug. It’s knit in one long strip that is later (and I am so not looking forward to this part) seamed in a spiral. It's coming along in its spiralling way. But, how to get make this mass of knitting portable? Well, where there’s a will, there’s a way. Bagged up and ready to go.